Johannesburg - Next week's Premier Soccer League (PSL) promotion/relegation playoff match between Santos and Chippa United has been postponed indefinitely, according to PSL spokesperson Altaaf Kazi. 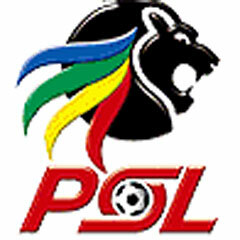 The PSL had already postponed Sunday's fixture involving Chippa United and Thanda Royal Zulu. Kazi said on Thursday a disciplinary process was underway but he was unclear how long it would take. The hearing follows complaints of Chippa players allegedly being improperly registered. "The League has received complaints from Blackburn Rovers and Dynamos regarding players who are allegedly improperly registered,” the PSL said in a statement earlier in the week. Santos, fighting to stay in the Premiership, defeated Thanda Royal Zulu 1-0 in Richards Bay in the first playoff fixture on Wednesday.